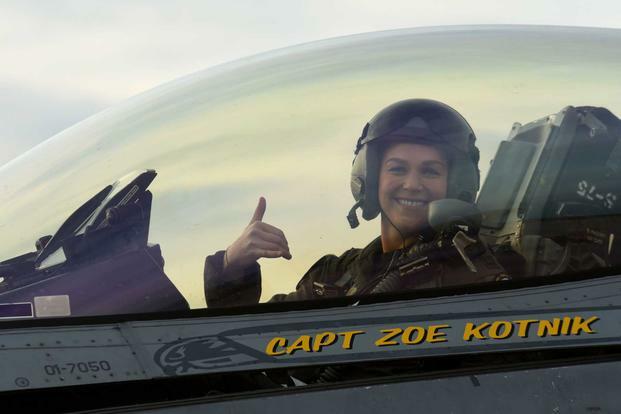 WASHINGTON, D.C – The first female pilot to head the Air Combat Command F-16 Viper demonstration team was relieved of her duty Monday due to a “loss of confidence” in her ability to lead. According to the statement signed by Col. Derek O’Malley, the 20th Fighter Wing commander, Capt. Zoe Kotnik was removed from her position after two weeks of service in the department. Kotnik graduated from the Air Force Academy in 2011 and earned her wings in 2013, the Air Force Times reported. She was named the Viper team leader on Jan. 29.